+ NEW! 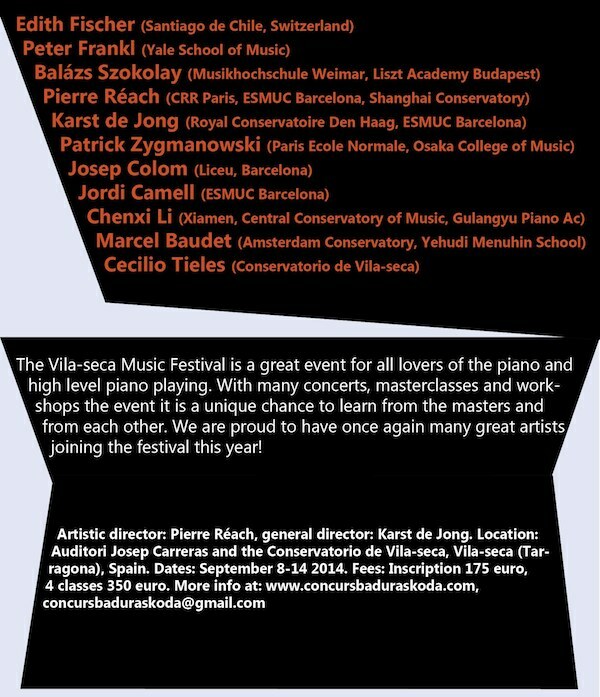 : INTERNATIONAL PIANO COMPETITION! NEW International Piano competition, junior and advanced categories. International July presided by Chenxi Li (China). Friday 13th. Various extra prizes: Best Bach interpretation, Best 20th century interpretation, honorable mentions.